Hello there, I am back with another Clearly Besotted Teaser. 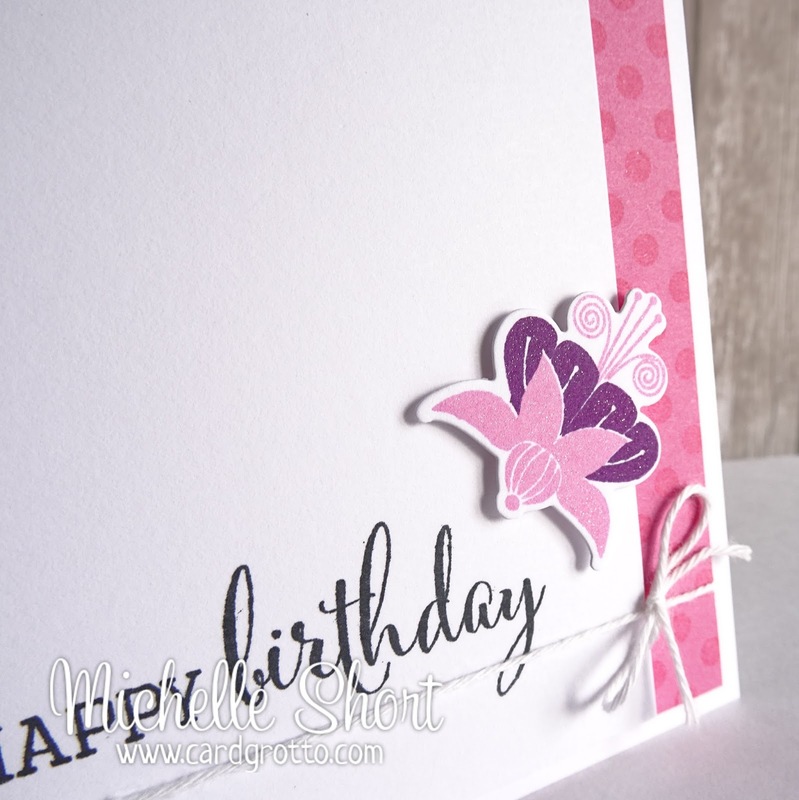 Today I am using the new Fabulous Fuchsias set and matching die collection. I have first taken a white CS layer and stamped the sentiment (is that not the most gorgeous sentiment in the world?!) from the set on with black ink. 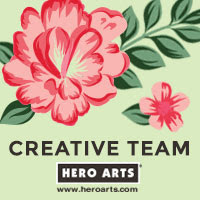 I have then taken a sheet of PTI Hibiscus Burst CS and stamped the polka dot border from the Background Builder set on top with VersaMark ink. I have added this panel to the side of the white one and wrapped with white baker's twine. 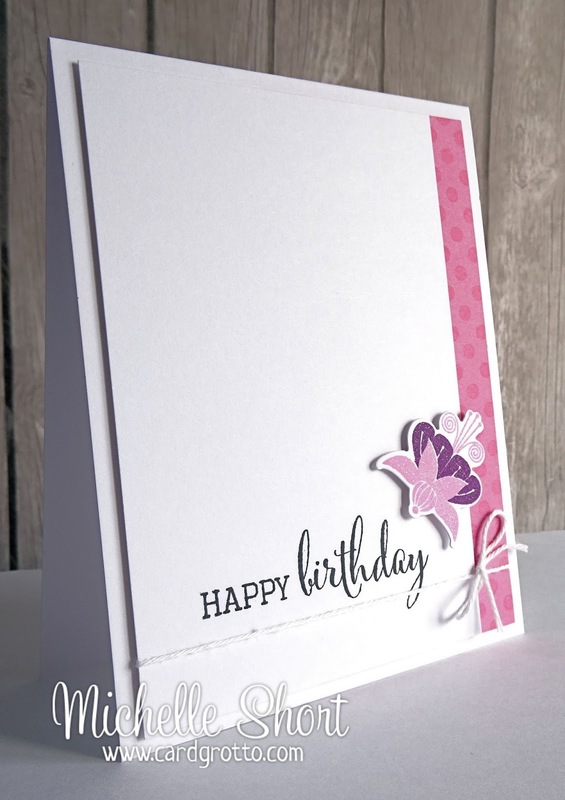 The Fuchsia has been stamped using HA Bubblegum and Grape Juice inks and then cut out with the die and adhered to the layer with 3D foam pads. The whole layer has then been added to a white card base with 3D foam also. Not long to wait now for the release, they will be available in the shop tomorrow at 10pm. Please pop over to Stephanie's Blog to see her amazing samples and links to the other DT. Thanks so much for visiting me today, see you tomorrow for the last of the teasers. I also just want to say a big thank you for all the lovely comments the last two days. I so appreciate them, especially as I had to be so quiet last week. Thank you as always for your support. Another little beauty Michelle. I think Stephanie will run out of stock again! 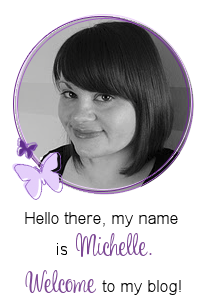 This is gorgeous Michelle - love that ink combo and I agree - that font is amazing. Beautiful showcase of the fuschia, in fuschia colours, and the sentiment which, I agree, is most lovely. Gorgeous! You're so right - absolutely fabulous fuchias! 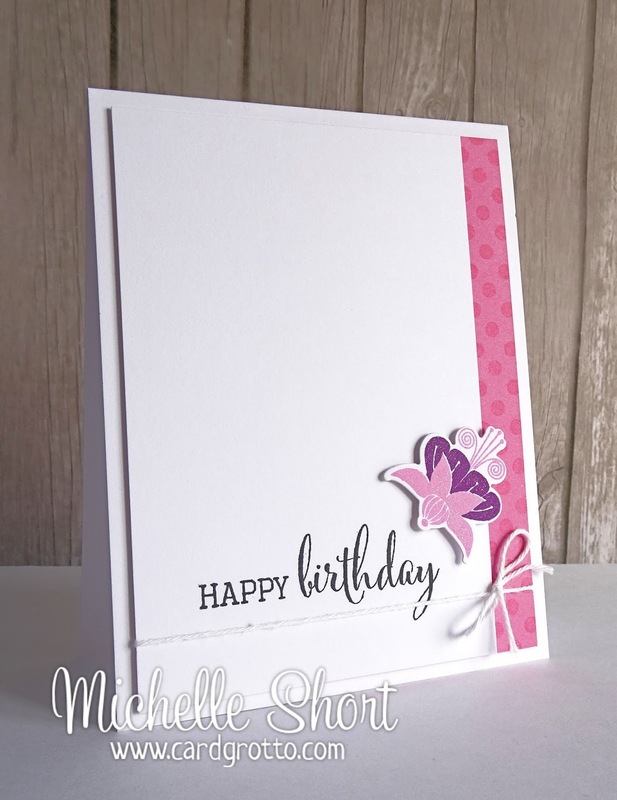 I love your beautiful CAS design and the color combo is gorgeous, Michelle! Such a lovely card!